Convenient way to support the maintenance of muscle mass. Contains 6g BCAAs per serving. Ideal for before, during or after exercise. BCAA Perform is tested under the Informed Sport Certification program. This approach involves testing every single batch of SIS finished product, which leaves the Company’s factory, screened against the 2017 World Anti-Doping Agency (WADA) list. Banned substances including steroids are tested to the level of 10 Nanograms per gram, and stimulants to 100 Nanograms per gram. Batches (sampled at the beginning, during and end of each product batch) receive the recognised and respected Informed Sport* certificate and SIS provides the documentation to athletes on request. 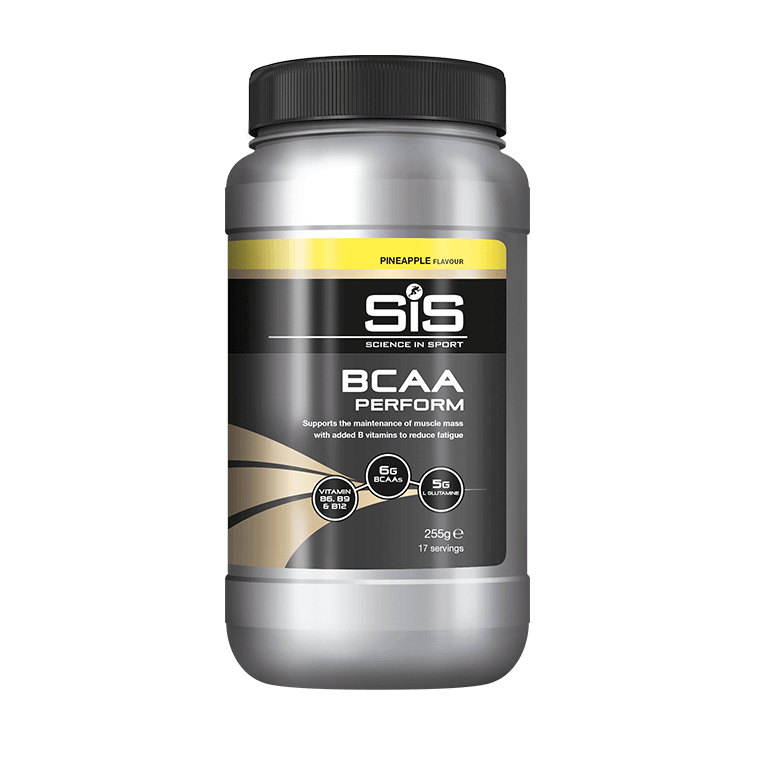 What is in BCAA Perform? BCAA Perform contains 6g of branched chain amino acids known as BCAA’s ( 3 g leucine, 1.5 g isoleucine and 1.5 g valine) in a 2:1:1 ratio. The product also includes 5g of L-glutamine and 1.5g of L-Arginine. There are no reported side effects of amino acid supplementation, but do not exceed the recommended dose. Do I need to take it every day? I’m an endurance athlete, will BCAA Perform help me? The BCAAs are also used as energy source during endurance exercise, especially during high-intensity and carbohydrate restricted exercise (i.e. low carb training). Consuming BCAAs prior to such training sessions can help to reduce muscle protein breakdown and stimulate muscle protein synthesis post-exercise, conditions that can facilitate training adaptation. Good product but I think is little expensive...!! !